The issue of REDD+ benefit sharing has captured the attention of policymakers and local communities because the success of REDD+ will depend greatly on the design and implementation of its benefit-sharing mechanism. Despite a large body of literature on potential benefit-sharing mechanisms for REDD+, the field has lacked global comparative analyses of national REDD+ policies and of the political-economic influences that can either enable or impede the mechanisms. Similarly, relatively few studies have investigated the political-economic principles underlying existing benefit-sharing policies and approaches. This working paper builds on a study of REDD+ policies in 13 countries to provide a global overview and up-to-date profile of benefit-sharing mechanisms for REDD+ and of the political-economic factors affecting their design and setting. Five types of benefit-sharing models relevant to REDD+ and natural resource management are used to create an organising framework for identifying what does and does not work and to examine the structure of rights under REDD+. The authors also consider the mechanisms in light of five prominent discourses on the question of who should benefit from REDD+ and, by viewing REDD+ through a 3E (effectiveness, efficiency, equity) lens, map out some of the associated risks for REDD+ outcomes. Existing benefit-sharing models and REDD+ projects have generated initial lessons for building REDD+ benefit-sharing mechanisms. 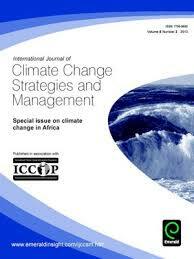 However, the relevant policies in the 13 countries studied could lead to carbon ineffectiveness, cost inefficiency and inequity because of weak linkages to performance or results, unclear tenure and carbon rights, under-representation of certain actors, technical and financial issues related to the scope and scale of REDD+, potential elite capture and the possible negative side effects of the decentralisation of authority. Furthermore, the enabling factors for achieving 3E benefit-sharing mechanisms are largely absent from the study countries. Whether REDD+ can catalyse the necessary changes will depend in part on how the costs and benefits of REDD+ are shared, and whether the benefits are sufficient to affect a shift in entrenched behaviour and policies at all levels of government. The successful design and implementation of benefit-sharing mechanisms  and hence the legitimacy and acceptance of REDD+  depend on having clear objectives, procedural equity and an inclusive process and on engaging in a rigorous analysis of the options for benefit sharing and their potential effects on beneficiaries and climate mitigation efforts.